The ELF anarchist group has claimed responsibility for a string of arson attacks and blasts that were carried out in Moscow and its suburbs over the past few weeks. 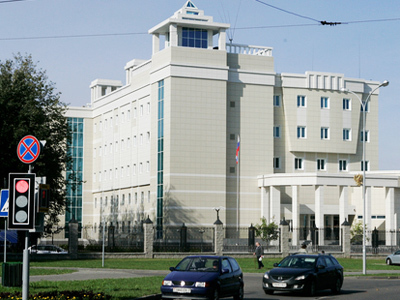 ­Russian news agencies reported on Friday that an organization operating under the banner of the Earth Liberation Front (ELF) has claimed responsibility for a series of arson attacks directed against a traffic police post, a luxury car dealership in Moscow, a private residence in the Moscow Region, and a bulldozer located at a construction site in the Khimki Forest, the scene of a highly controversial highway project set to connect Moscow and St. Petersburg. The Earth Liberation Front, which on an affiliated website claims to serve “as a source of inspiration in a society that values monetary wealth over the health of people, animals and the planet”, is a decentralized cell of “eco-terrorists” who engage in "economic sabotage and guerrilla warfare to stop the exploitation and destruction of the environment.” Originating in the UK in 1992, the group is now an international movement with cells spread across North America and Europe. A statement by Russia’s first known cell of the ELF, which was posted on an anarchist web-site, gave details of the attacks which were not described in media reports and also included video footage of the incidents. 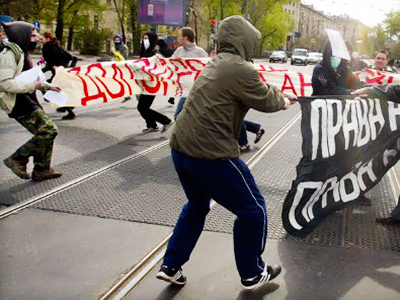 The anarchists said they threw petrol bombs into a police station to demonstrate their solidarity with anti-fascist activists from the city of Nizhny Novgorod, whom local law enforcers were prosecuting on allegedly trumped-up charges. They also said that they torched an exemplar home in the Edelweiss-Ilyinskoye compound because the compound had been erected on the land despite protests from local residents. The activists did not explain their attack on the car dealership which occurred about a week ago, though they acknowledged that they burned four Lexus and Toyota vehicles while the media had previously reported that only three cars had been destroyed. The group also said that they torched a bulldozer at the construction site for the highly contentious Moscow-St.Petersburg highway which will cut through the Khimki Forest. 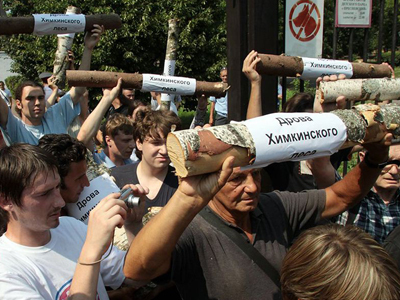 The situation in the Khimki Forest become symbolic of a greater political struggle in Russia after a former mayoral candidate in the town of Khimki (a de-facto district of Moscow serving as its corridor to Sheremetyevo International Airport) launched a string of protests against the construction of the new highway through the forest surrounding the town. Political heavyweights and pop stars have all weighed in, taking part in rallies, pickets, and concerts. Also, a journalist from Khimki who criticized the local authorities for destroying the forest was badly beaten and later sued by a Khimki official for slander. Public protests eventually hed to the halt of the works and an additional evaluation of the project. However, the government commission set up to examine the project ultimately approved that it go ahead in December 2010. 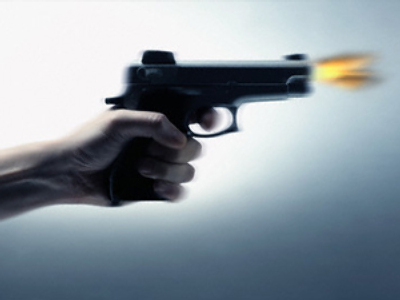 At the same time, the statement did not claim responsibility for the recent attack on a car park in South-West Moscow, where a group of hooligans threw rocks, nuts and bolts at parked cars in the courtyard of a new apartment block, damaging many of the vehicles.